Developer : Fall Day Software Inc.
Update for new iOS device sizes. 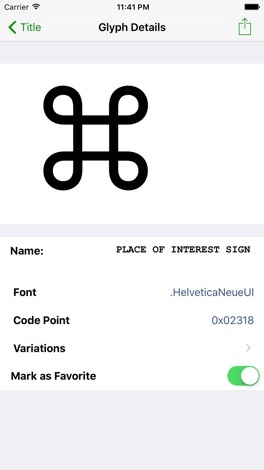 This app lets you explore the world of Unicode glyphs. 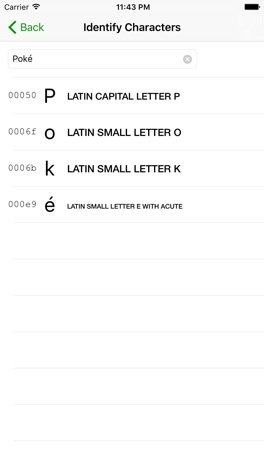 The languages of the world contain some beautiful letter forms, and Unicode Character Viewer gives you an easy way to search for characters, mark your favourites, and share them with others. 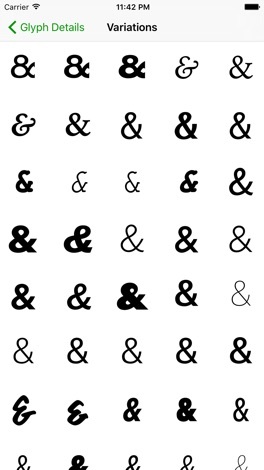 * Identify glyphs in strings you find. 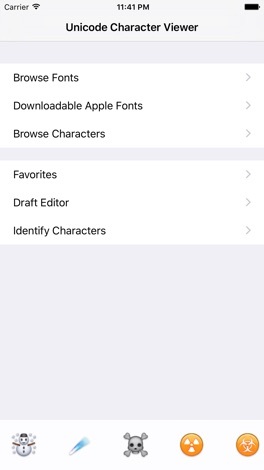 * Explore the 283+ downloadable iOS 7 fonts. 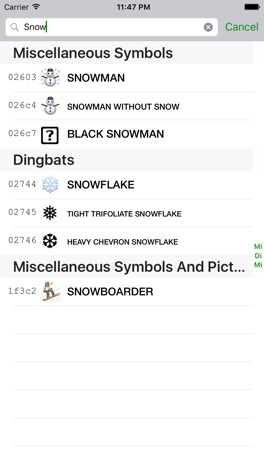 More by Fall Day Software Inc.